Diagrams, photos, and step-by-step instructions de-mystify the construction of these beaded balls. Two completely different methods are explained - a short 20-step thread path, and a longer 32-step path. Also included are instructions for tying a concealed knot and how to easily manage two needles. 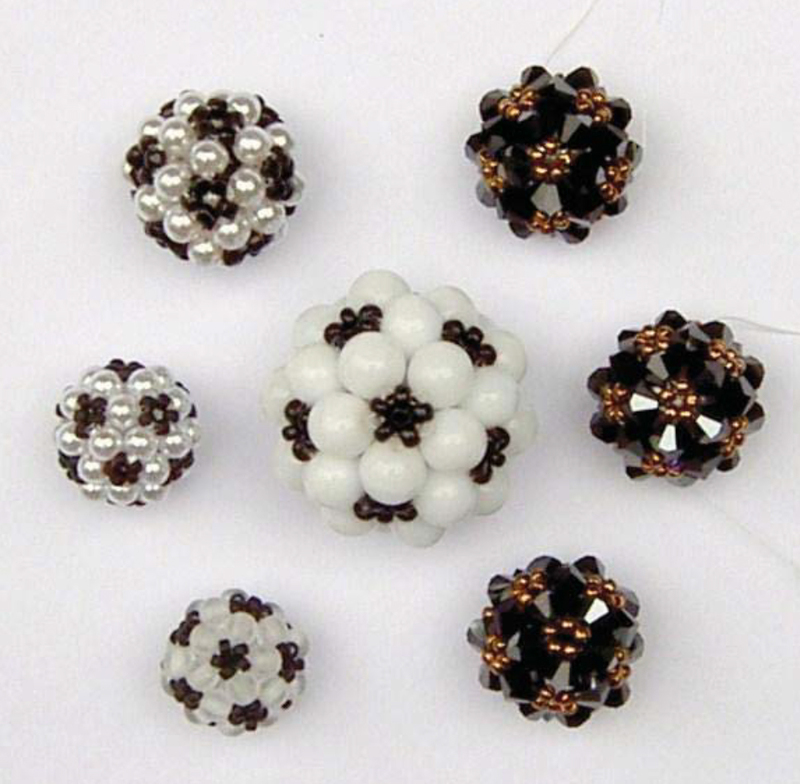 Check out the Instructions for a "Single Needle Crystal Bead Ball (Icosahedron)" version.